The House Oversight Committee postponed a scheduled hearing Thursday on the Trump administration's response to series of devastating hurricanes in 2017, after a top government official said he would be unable to attend the hearing because of the ongoing hurricane season. In a letter sent to the committee Wednesday night, Federal Emergency Management Agency Administrator Brock Long said he would be unable to attend the hearing, citing that the proceedings had been postponed multiple times, and conflicted with agency's work during the ongoing hurricane reason. Democrats are expected to use the public hearing as an opportunity to criticize the Trump administration's recovery efforts in Puerto Rico to Hurricane Maria. The Puerto Rican government recently raised the death toll from Hurricane Maria to 2,975 from 64, following the release of a report on the death toll from independent researchers contracted by the government. Despite the increased death toll, Donald Trump last week said the federal government did a "fantastic job" in Puerto Rico after Hurricane Maria, and that "most of the people of Puerto Rico really appreciate what we've done." 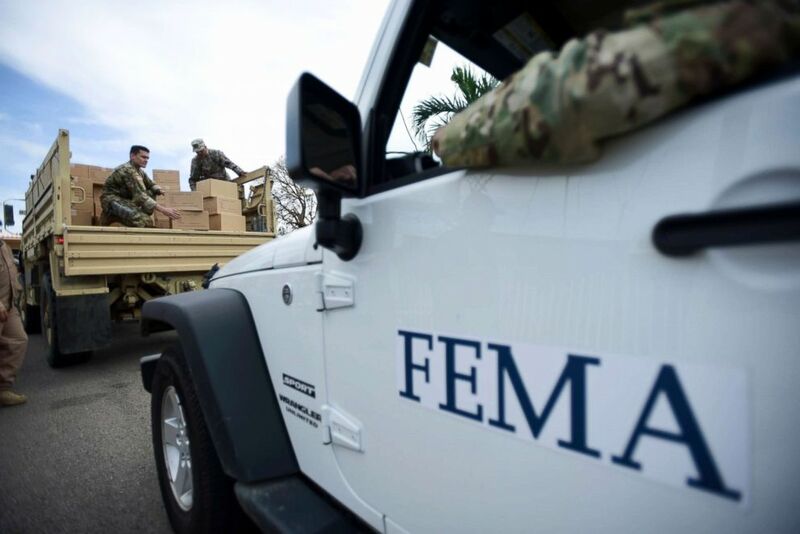 The Government Accountability Office, a federal watchdog, also released a report on Tuesday detailing FEMA's struggles to respond to the hurricanes, concluding that the overstretched agency faced challenges that slowed its efforts to respond to Hurricane Maria. Department of Homeland Security personnel deliver supplies to Santa Ana community residents in the aftermath of Hurricane Maria in Guayama, Puerto Rico, Oct. 5, 2017. Committee Democrats have pushed Republicans to conduct more rigorous oversight of the Trump administration, accusing Chairman Trey Gowdy and the GOP majority in a new report of blocking their efforts to investigate the administration and working to "insulate President Trump and his aides from scrutiny" about the White House response to the hurricanes. The report compares the committee's review of the government's hurricane response to the investigation conducted by former GOP committee chairman Tom Davis into the Bush administration's actions after Hurricane Katrina. Davis' five-month probe, Democrats said, produced hundreds of thousands of pages of documents from across the White House and administration and a 569-page report faulting the Bush administration, state officials and private contractors. "More than a decade later, the Oversight Committee's investigation of the Trump administration's response to the hurricanes in Puerto Rico and the U.S. Virgin Islands not only ignored these lessons from the past, but added a new failure of its own—a failure of oversight," Democrats wrote in their report. In response, a committee aide said that the panel has been in contact with FEMA on a "near-weekly" basis and has reviewed more than 16,500 pages of documents from various government agencies. The committee also has conducted field hearings and staff trips to survey response efforts in Puerto Rico, Texas and the U.S. Virgin Islands, and held briefings with government officials and requested documents from the Department of Homeland Security, the Pentagon and the Department of Health and Human Services.